A tour to appreciate the island of Cozumel in all of its charm discovering the ancient Mayan civilisation and its main archaeological site as well as its beaches where we can relax for a few hours. We leave the port by coach and shortly reach our first destination: the wonderful archaeological site of San Gervasio, the most important in Cozumel, once the political hub of Mayan civilisation on the island. Once a sacred city dedicated to Ixchel, goddess of the moon, fertility and childbirth, San Gervasio is a complex with temples, ceremonial buildings and palaces divided into four areas linked by a network of roads which are still magnificently preserved and where it is possible to observe some fragments of frescoes in the circular building known as the "Big House". 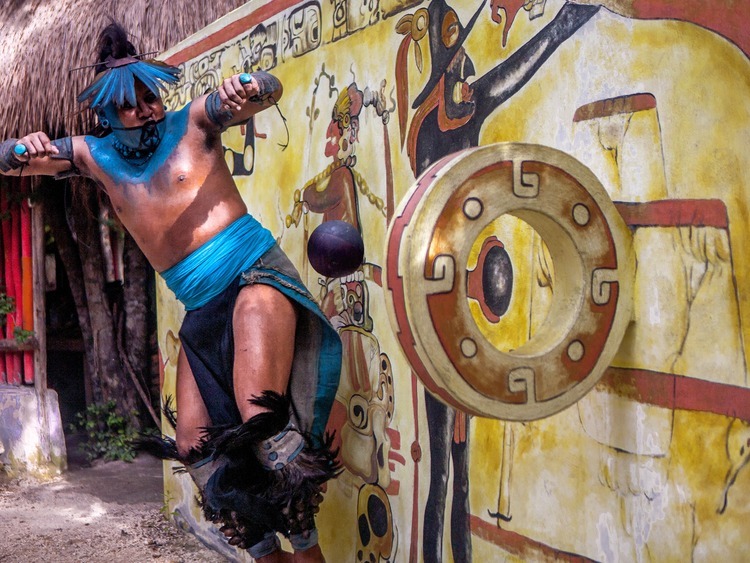 After visiting San Gervasio, we head to Pueblo del Maiz, a sort of pre-Hispanic park that, through interactive technology, retraces the history of the Mayans and enables us to discover their habits and traditions. We then move on to the western part of Cozumel, where we can admire a magnificent landscape made up of wild unspoilt nature. Before heading back to the ship, we stop in a comfortable Beach Club to relax on the beach and enjoy a delicious *Mexican buffet lunch accompanied by soft drinks.